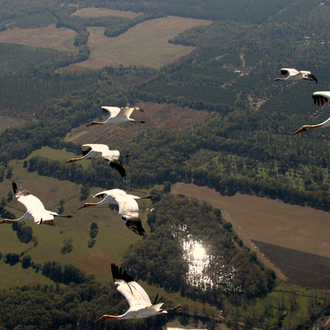 Endangered Whooping Cranes (fewer than 600 remain) returned to the wild need tracking devices so we can remotely monitor their whereabouts. The data acquired via these transmitters provides crucial information about the habitat the young cranes are selecting and the flight path they use during their unassisted migration flights. Offer! 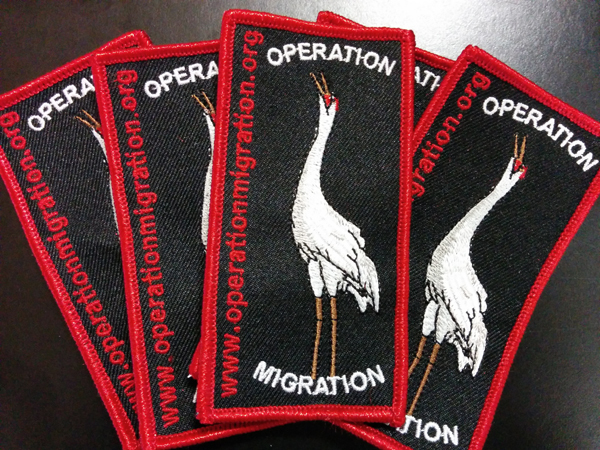 give $20 or more and we'll send you an embroidered Whooping crane crest as a token of our appreciation! Last week when you helped us reach our funding goal, I had tried to send you a photograph of Whooping crane #1-15. As luck would have it, the system somehow failed to upload the photo with the email and soon after sending it I began the drive out to Wisconsin. Thank you very much for your support (and your patience). 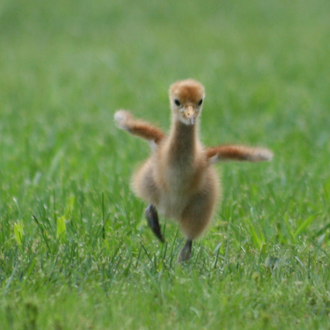 Thank you for your support of our work to safeguard Whooping cranes! YOU did it! You helped us reach our funding goal to acquire three remote tracking devices for the Class of 2015! We'll leave you with this adorable photo of crane chick #1-15 taken yesterday morning after her training session with our aircraft. 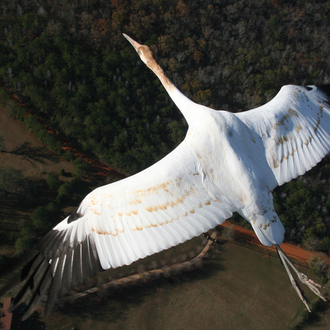 We are now less than $3000 from our goal to acquire 3 new GPS Cellular Tracking Transmitters for the Class of 2015 Whooping cranes! PLEASE keep sharing! We're so close to reaching our goal and still have 18 days before we have to order the new tracking devices. Here's the link to copy/paste: https://www.givinggrid.com/WCTrack or just use the social sharing icons at the bottom of this message. As an added incentive, anyone who contributes $20 or more will receive an embroidered Whooping crane crest! 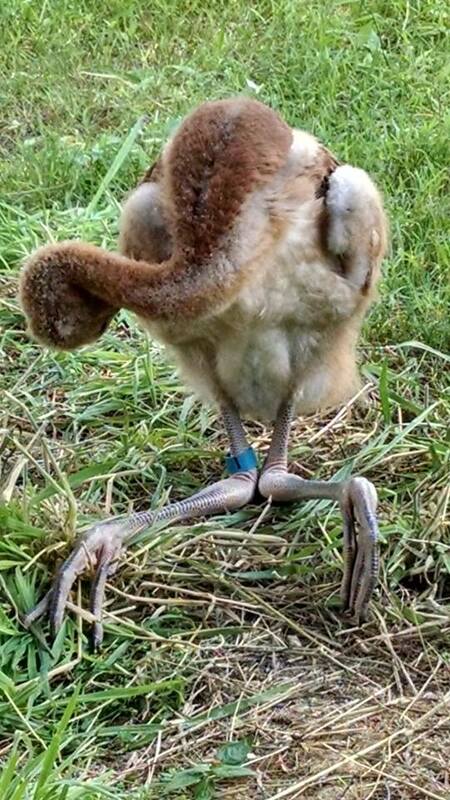 We are now less than $5000 from our goal to acquire 3 new GPS Cellular Tracking Transmitters for the Class of 2015 Whooping cranes! Here's the link to copy/paste: https://www.givinggrid.com/WCTrack or you can use the social media buttons at the bottom of this message. The Operation Migration Giving Grid for remote tracking devices is nearing the $10,000 mark thanks to YOU! Please please please share this campaign with family, friends and among social networks - let's see how quickly we can reach our goal of $16,000. 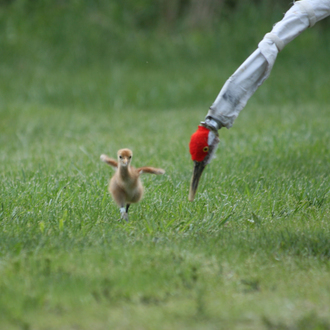 The Class of 2015 Whooping Cranes is hatching now and they send you a HUMONGOUS thank you! We are absolutely humbled (and thrilled!) by the results of your generosity! In less than 24 hours, we're almost halfway to our goal of $16,000 - Each of you is incredible. 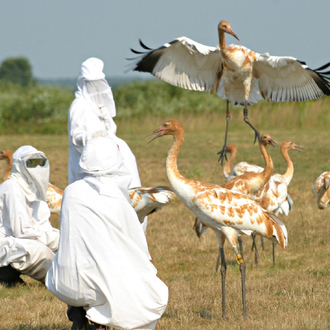 Your compassion for Whooping cranes is amazing. Thank you, thank you, thank you! 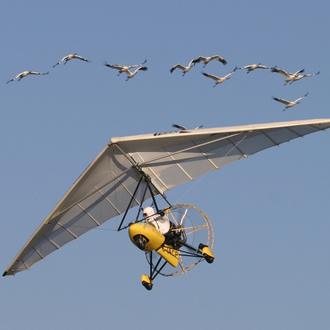 Whooping Cranes once flew the skies over most of North America before habitat loss and unregulated hunting very nearly wiped out the species. 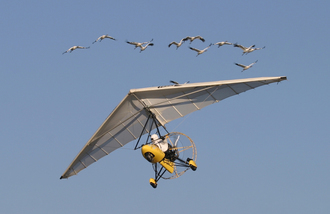 In the 1940's there were only 15 Whooping Cranes in the world! Since 1967 there has been a concerted international effort involving Canada and the United States to safeguard the species. Operation Migration and our partners have succeeded in returning a migratory flock of these endangered cranes to an area they were wiped out from more than a century ago. This is something that has never before been accomplished! 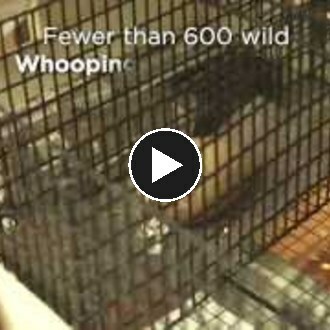 Still, fewer than 600 Whooping Cranes remain between survival and EXTINCTION. With your help we can continue to monitor the new population until it reaches a self-sustaining level. 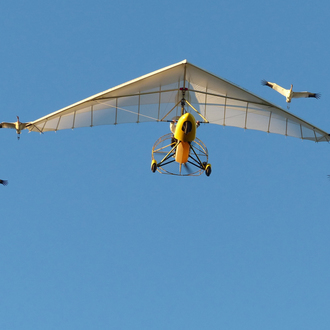 Each year, we teach a new generation of Whooping Cranes a migration route by guiding them on their first journey from Wisconsin to Florida with our small aircraft. In Florida they are released, and then, come spring, they migrate northward to Wisconsin on their own. A small number of the birds are fitted with transmitters so that they can be tracked. Three transmitters, each with 3 years of data services, costs $16,000. We need your help to purchase these expensive yet critical devices - please consider making a donation today or share this campaign with others! Special Offer! 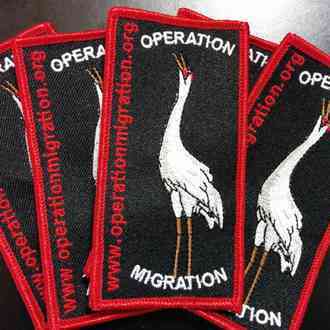 give $20 or more and we'll send you an embroidered Whooping crane crest as a token of our appreciation! I am helping to support Operation Migration USA. This is an important cause and I’d really appreciate your help. Please spread the word and/or make a donation. Thank you so much! I just made a donation to "Operation Migration USA." Please help me spread the word about this cause or make a donation yourself. Your generous donation goes directly to the PayPal account of Operation Migration USA, less PayPal processing fees. GivingGrid.com does not take a fee from Operation Migration USA. It's free to them.You do not need a PayPal account to donate. Please help a little more to support GivingGrid's operating expenses and keep the service free to Operation Migration USA. Why? Unlike most other services, we don't charge Operation Migration USA any fees. It's free to them.